Huawei’s sub-brand “Honor”, is ready to launch the Honor 8X as its latest phone. Also known as ARE-AL00, the Honor 8X’s detailed inside look is here. From what is evident, the phone has a small V-shaped notch in its design, something that phone companies like Oppo had been including in their phones. The full face reveal is yet to happen but for now, we can take a look at the specifications of the device. The Huawei Honor 8X is expected to use the Snapdragon 660 or 636 chipset. Sources, however, are still doubtful if whether at the last moment the chipset might be changed to a mid-range Kirin chip. The Honor 8X has a rather large screen size of 7.12 inches. This huge display has a pixel resolution of 2244×1080 pixels. The Honor 8X can be deemed as more of a tablet than a phone or rather a mix of both. Thus, the device can be considered as a “Phablet”. What is intriguing is that Honor has decided to keep a 4,900 mAh battery inside the phablet. It is also going to support fast charging with an 18W charger that will come with the phone. In contrast, the Xiaomi Mi Max 3 has a 5,500 mAh battery pack. However, battery life is not always determined by size rather by battery efficiency when it comes to usage. The Honor 8X will feature a dual rear camera; a 16MP primary lens and a 2MP secondary lens. It also has an 8MP front camera. 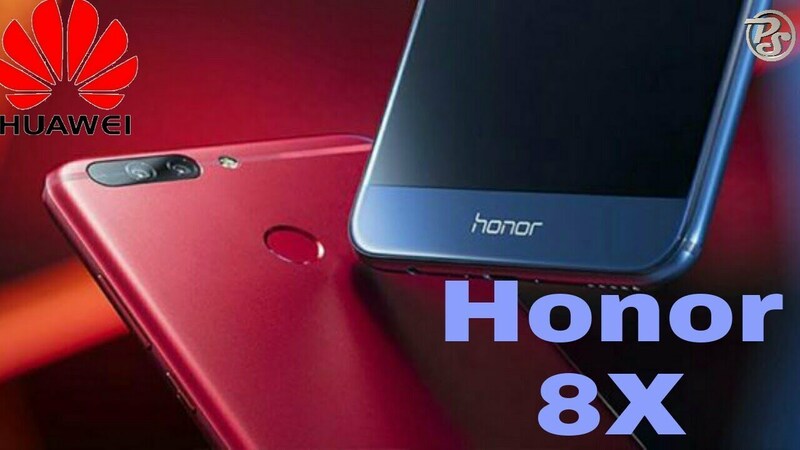 Measuring at 177.57×86.24×8.13mm, the Honor 8X weighs at 210 grams. The built-in storage of the phone is 64GB, while the RAM specifications are yet to be revealed. It supports a microSD card slot for expandable memory, supporting up to 256GB of external memory through an SD card. If Huawei follows its trend then the Honor 8X will be first released in China, and then worldwide. As of now the price and date have not been disclosed, but considering that the regulatory approval process is being conducted, we won’t have to wait long till the phone is ready for shipping. Galaxy Note 9- What does the upcoming beast have to offer?